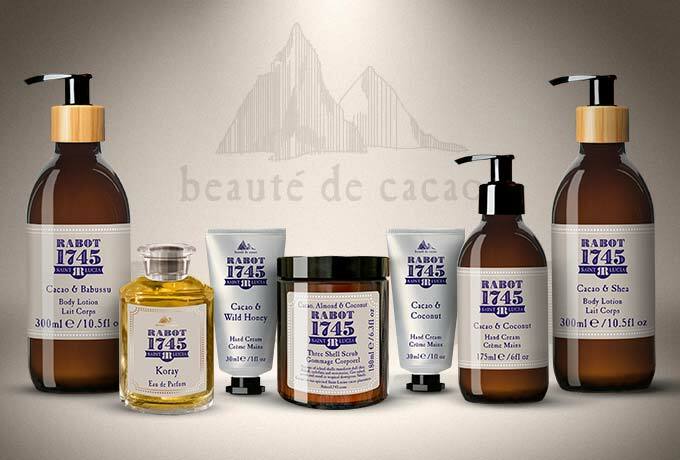 Our Cacao and Coconut hand cream is inspired by coconut palms and cocoa we grow on our estate, intensely moisturising. A nourishing drink for your skin, this luxurious hand cream is perfect for on-the-go-hydration. Soothes, heals and regenerates. Things that grow together go together. Sky-high coconut palms shade delicate cocoa trees on our beautiful Saint Lucian estate. Escape there. 60.00 g / 2.10 oz.